Interests:My Family, Knife making, Martial Arts, good books, guns, camping, walking and hunting. Morning guys, here's some pics of this latest hunter off the bench. It's a bit of an unusual one for me. 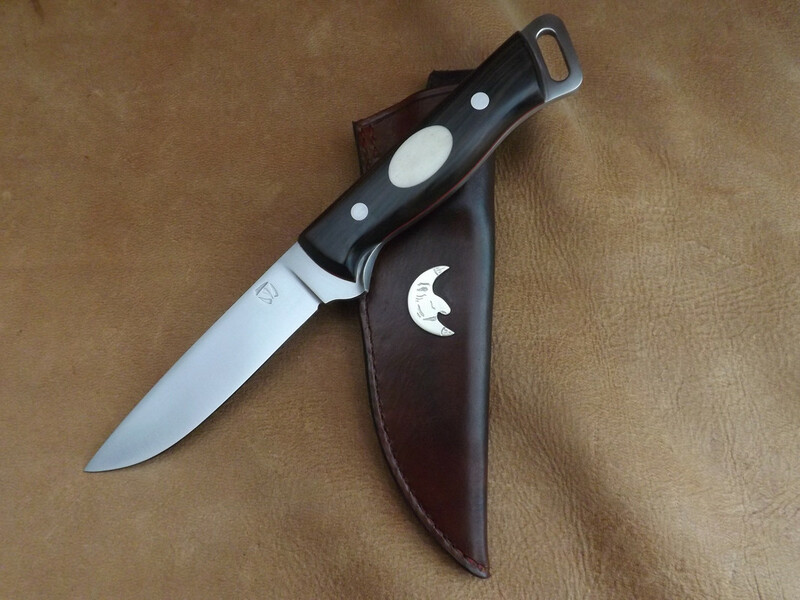 It has an L-3 (52100) blade, 120mm long, 4mm thick on the spine, overall length 255mm, brute de forge finger choil, Macassar ebony scales, inlayed with two bone escutcheons, with red liners held by two S/S Corbies, wet formed deep pouch sheath, dyed golden brown with a Moran style smiling moon in nickel silver. 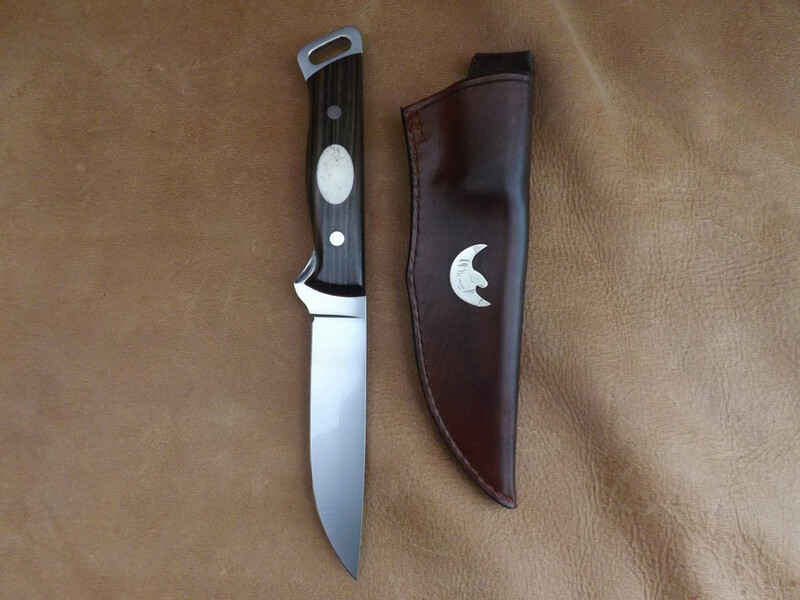 The reason for the Bill Moran theme is the pieces of bone were bought by the client from the shop sale after Bill Moran passed away so these with the forged finger choil and moon were added as a homage to him. All questions and comments greatly appreciated. Liking that Steve. Good work. That finger choil is messing with my mind on the side view. Do you have a shot from underneath? Thanks for your comments buddy, here are a couple more shots of the knife from underneath, hope they help. 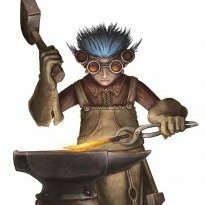 Interests:Forging (in spite of my inexperience and lack of materials) FPS games. being busy enough to not stagnate. 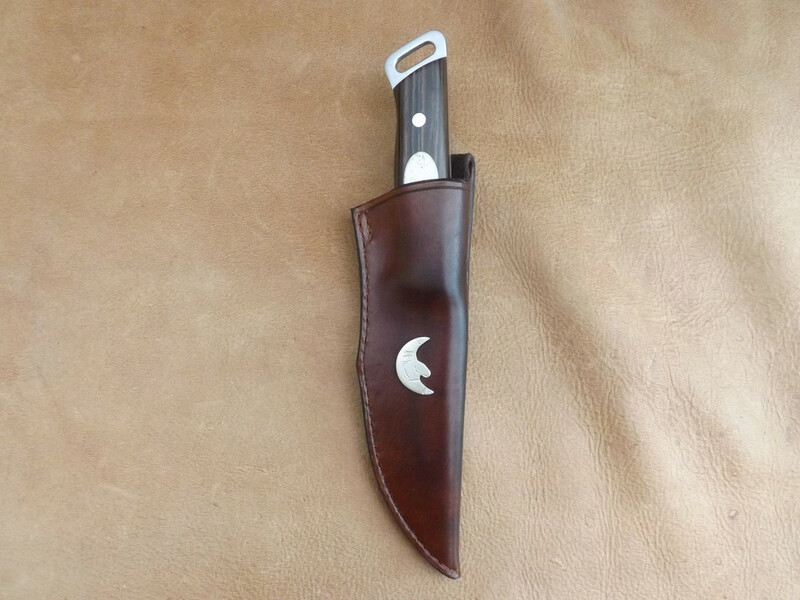 That is a gorgeous knife. Is there just the two pins? or is there a third one hidden under the inlay? sorry if it is a weird question. I am trying to immerse myself as well as I can before my first equipment gets in. EDIT: Never mind, I reread the post. sorry to bother you.Still some beautiful work. Nice knife, but please education me. I don't hunt, so have no idea what makes this a Field Hunter or for that matter, what is a Field Hunter. Did a short search on the net and didn't find an answer. Thanks Steve. Yeah, really liking that. Interests:making, building, creating, anything outdoor related. hunting, fishing, bushcrafting, camping, shooting, kayaking. very nice. love the finger choil. 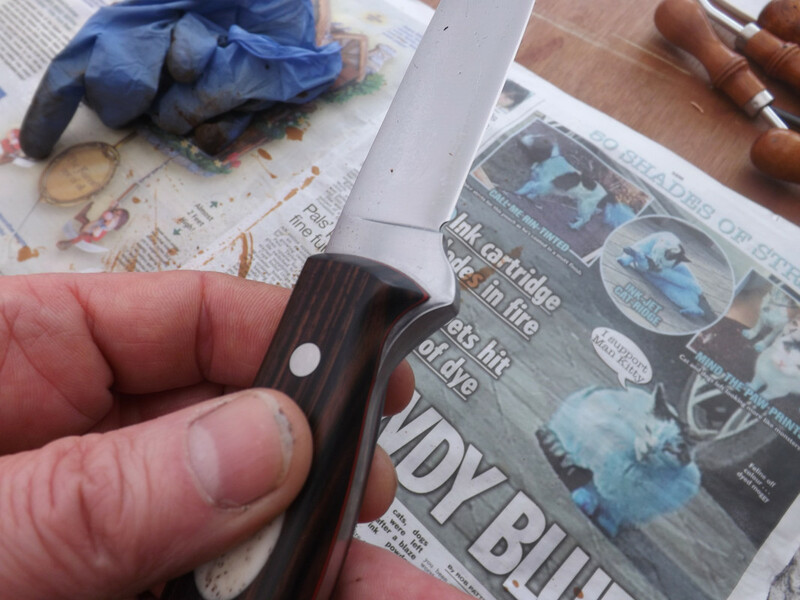 I would call this a drop point hunter Gerald, it's just a recognised style of blade shape really. 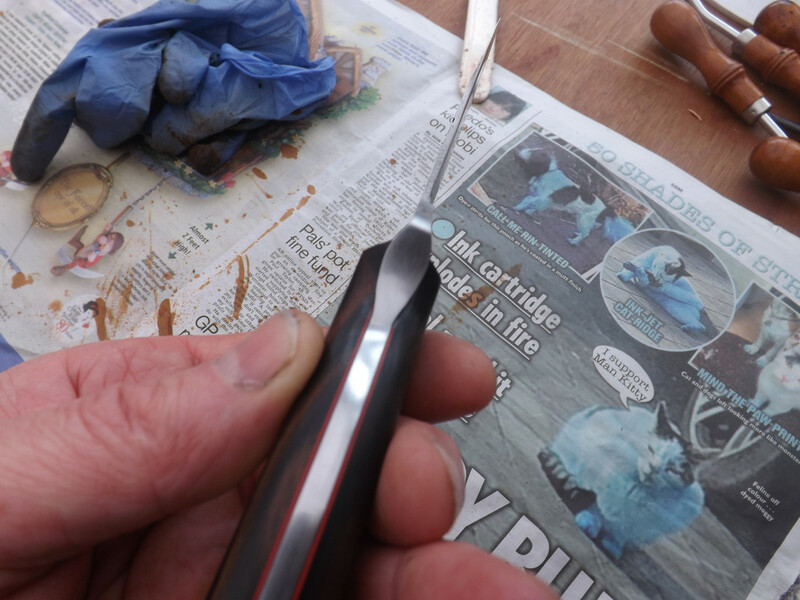 You don't have to carry it into the field to do any work on game with it, this style of blade will excel at many camp tasks as well as bushcraft. Thank you for your comments guys and for taking the time to look at this piece. I finally could see the pics! I'm liking that one a lot Steve. Nice touch with that flared finger notch and lanyard slot. It's those little things that make an otherwise simple design so much better. Great stuff right there. Cheers guys thank you for your comments. A little bit of mix and match Joshua has added to the overall feel of this piece.